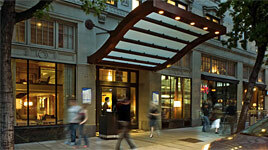 Smart, stylish and centrally located, The Vintage has everything you want for your Emerald City trip. With a convenient downtown setting located on Fifth Avenue, you're just a salmon toss away from Pike Place Market, Pioneer Square and the convention center. The boutique hotel's spiffy new design creates an urban haven inspired by and celebrating the bounty of Washington's wine country, while adjacent Tulio Restaurant has been hailed as one of the country's best Italian dining destinations. You may visit their website at www.hotelvintage-seattle.com. This tastefully eccentric boutique hotel also puts you right in the heart of Seattle's business district, just blocks from Pike Place Market, Pioneer Square, the convention center, and waterfront. 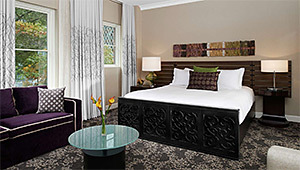 You'll find sophisticated yet playful design in the stylish, spacious guestrooms, along with indulgent upscale amenities. You may visit their website at www.monaco-seattle.com. When Scandinavia comes to the Pacific Northwest, you know there will be lots of wood and sleek design. We get all this, and a lot more, in the ideally located Hotel Ändra, which also boasts a meeting loft, fine dining and a fitness and a meeting room. 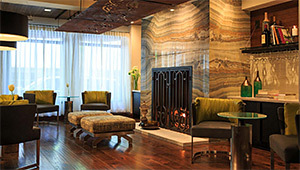 Oh, and we get 20% off their Best Available Rate (based on demand) – and free Wi-Fi. Click here for our link to savings!